GB: A floating skull full of insults and taunts, a githzerai with a sword shaped through mental discipline, a tiefling rogue with a tail, a tanar'ri priestess, a mad wizard sentenced to eternal burning, a crossbow-wielding modron trying to figure out where he belongs in the world, and a possessed suit of armor whose sole purpose is to bring justice to the Planes. How did you come up with such a diverse group of NPCs and yet have them work so well together? Chris: I think they all had some hook that you could understand, despite their more bizarre quirks and weapons. You can figure out Morte pretty quickly, for example, and I think the same holds true for Annah (she's a tough as nails chick who has Daddy issues), Grace (she's a remarkably nice succubus with Mommy issues), Dak'kon (he's a monk with a tortured past - gasp! ), and Nordom (he's a confused little brother). Vhailor and Ignus are even easier, though I don't think people liked them as much. Ignus' backstory was one of the ones I liked best, though, I just wish I'd developed it more. GB: Was there any content you would have liked to see implemented into Torment that didn't make it into the game? Chris: It's been a while, but it would have been nice to have another plane or two, expand the missions in the Modron Cube (we had scripting dialogue for "kidnapping" quests involving Fall-From-Grace and Annah that allowed you to go on a twisted version of "rescue the princess" quest). There was probably other stuff, but to be honest, it's been a while, so I've lost the memory of a lot of it. 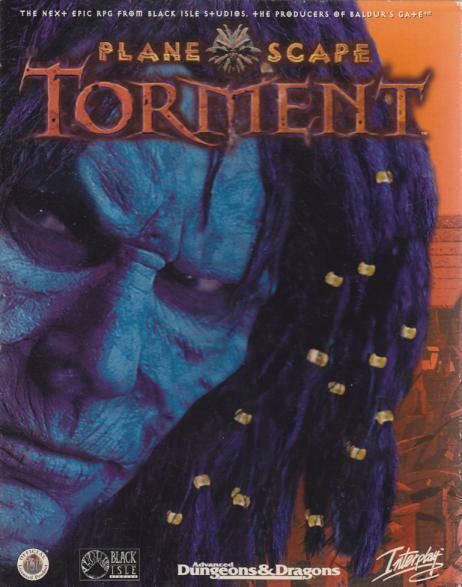 GB: Planescape: Torment continues to be an all-time favorite RPG for many people and is the only Infinity Engine title that has snatched a place on GameSpot's "Greatest Games of All Time" list. What do you attribute this lasting success to? Chris: Story, I think. I don't think the combat was particularly strong, but the storyline, theme, and characters seem to be the things people really responded to, which made us happy. GB: Why do you think the Infinity Engine worked so well for Planescape: Torment (and four other highly successful RPGs), yet many developers are straying away from the party-based isometric style that was so critical to the engine's success? Chris: I think the Infinity Engine's big strengths for Torment were (1) the Herculean Bioware Infinity editor that was actually able to translate 2nd Edition AD&D into a format that a computer could recognize, and (2) the other huge advantage was that you could paint the backgrounds, which for Planescape was pretty essential since the "architecture" was so insane that doing a polygon-based world filled with that many jagged edges and points and pregnant allies and all those bizarre-o structures would make many CPUs weep tears of silicon blood. GB: If Obsidian Entertainment obtained the rights to develop another Planescape title, would you be receptive to creating another RPG using the setting? If so, where would you personally like to take the next game? Chris: Sure, we'd love to. We probably wouldn't continue the same storyline, but we've had thoughts about what kind of characters and environments and story themes we'd like to explore. I've kind of lost track who even has the license anymore, though, and I'm not sure how Wizards of the Coast feels about the license anyway. Thanks for your time, Chris! Now... who's starting the petition to Wizards of the Coast for another Planescape RPG?